Danny Welbeck said that he dreamed of playing for Arsenal while at Manchester. Welbeck has risked the wrath of Manchester United fans by claiming he’s been thinking about playing for Arsenal for quite some time. Though Welbeck might not be the blockbuster name that some Arsenal followers may have been dreaming of before deadline day, his qualities and attributes should enable him to fit harmoniously into Wenger’s footballing philosophy. ‘I really do believe that coming to Arsenal is the right decision. section of Arsenal fans were skeptical over Welbeck’s arrival due to his strong United ties, but the striker insists that the Red Devils’ chapter in his life is over, and reaffirmed his commitment to the Gunners’ quest for glory. Having first been seen in a Manchester United training DVD released in 2003 when he was twelve-years old, Welbeck went onto make 142 first-team appearances with his boyhood club, scoring 29 goals. Welbeck has risked annoying Manchester United fans by revealing that he used to dream about playing for The Gunners, despite coming through the United youth academy. The match against Manchester City showed that Welbeck has the requisite ambition required to play for Arsenal, but he has a few games to go before comes to full fitness having had problems with cramps in the City game. If he plays good then he might prove that Wenger was not wrong in chosing him at the final moments of the transfer deadline day. At United he was played on most of the occassions out of position. But at Arsenal, he will be the main striker which would do him and Arsenal a world of good. 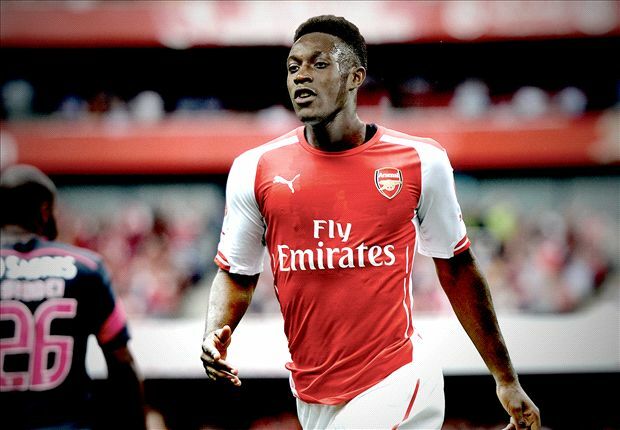 With Giroud out till January, Welbeck will be the key to Arsenal chances.